In 1915 France, the Great War rages and a new breed of hero takes to the skies. Part bull-terrier, part daredevil, the aces of the Royal Flying Corps' 5th Squadron are Britain's elite. It was an era of counter-intelligence, dogfights, and drinking songs. But that was before the world changed. That was before the Elementals! When a routine mission goes awry, the 5th Squadron finds itself trapped in an unreal world called The Source. Here, giant bat-like creatures dominate the world keeping the Universe, and all of its parallel realities, in a precarious balance. But despite its serene appearance, it is a violent, predatory land. Trapped along with Germany's greatest flying ace, they all must work together to find a way back home. Presented in association with Storm Entertainment. Contains mild adult language. Parental discretion is advised. 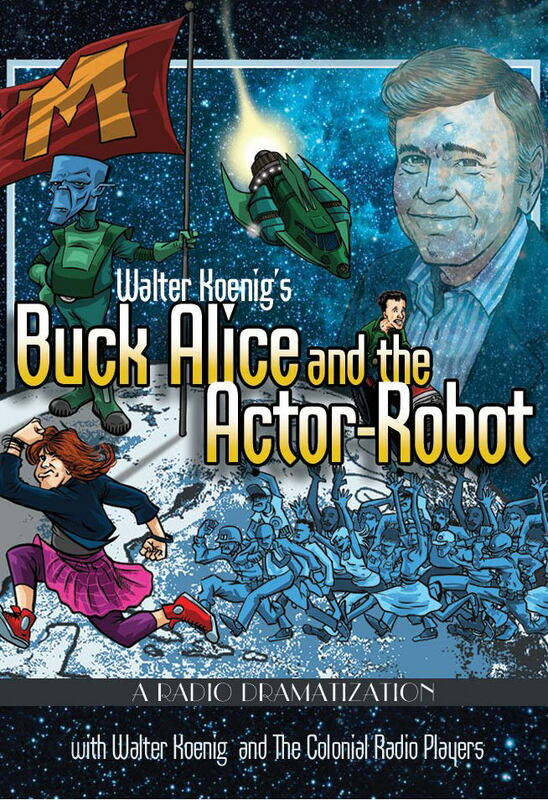 From the mind of Walter Koenig (Star Trek: The Original Series, Babylon 5) comes Buck Alice and the Actor-Robot - a science-fiction comedy unlike anything you've ever heard before! When an alien invasion annihilates most of humanity, it's up to a small pocket of survivors to restart civilization. There's just one problem: they're all losers. From an Irish pub to the Florida Everglades, from the outermost reaches of space to the innermost regions of the mind, join a rag-tag group of humans and aliens as they face the end of one way of life and the beginning of another. Packed with absurdity, pathos, wry observations about human nature, and a story that will keep you on your toes until the final word, Buck Alice is an emotional journey you'll want to take again and again. 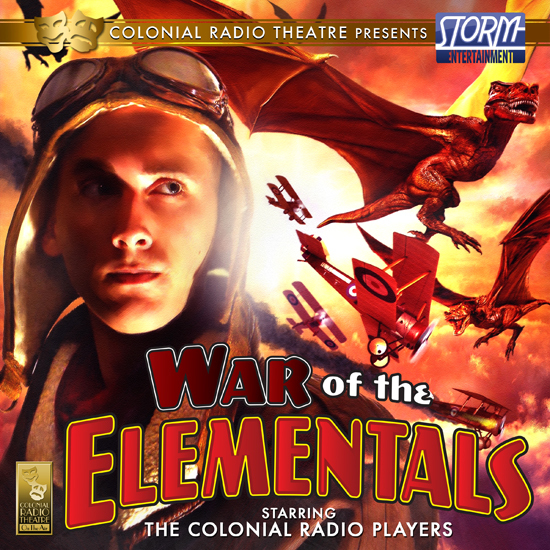 With a full-cast, a sweeping original music score, and thousands of sound effects, the award winning Colonial Radio Theatre On The Air proudly presents a black comedy with a heart that pumps slightly acidic blood. Grab a manhole cover and prepare yourself for a story that begins when all others end - Buck Alice and the Actor-Robot! On a restless ocean, a group of weary survivors contemplate their grim fortune: What had started out as a fun little fishing trip soon turns into a nightmare of damnation, trapped on a floating prison. The continents have been hit by a plague that has turned humanity into living corpses - leaving our castaways at sea to fend for themselves! With provisions low, hope comes in the form of a luxury liner sailing into view on the horizon... All they needed to survive would be on board, but who among them has what it takes to find out what happened to its crew and passengers? 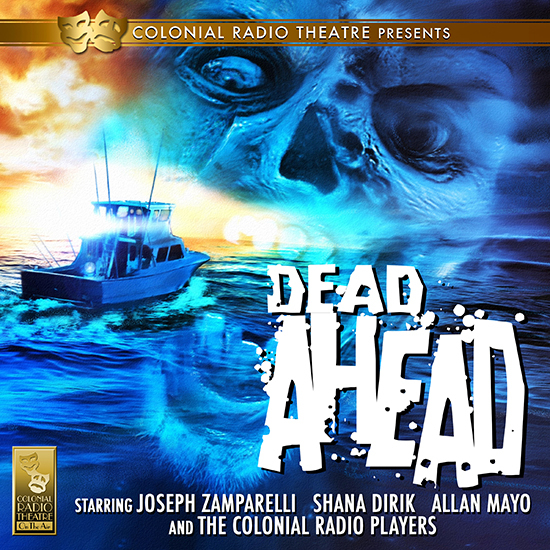 Based on the comic book by Mel Smith and Clark Castillo, DEAD AHEAD promises to be a cruise you will never forget. DEAD AHEAD Contains adult language and zombie violence. Parental discretion is advised. Within Each Man, There Lies the Capacity for Infinite Good… and Infinite Evil. Dr. Henry Jekyll: Good-natured, friendly and sociable. 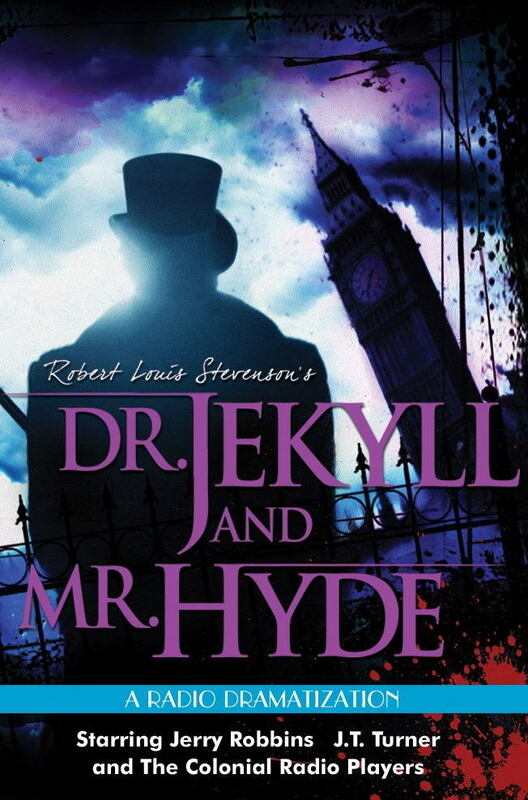 Mr. Edward Hyde: Misanthropic, violent and uncontrollable. 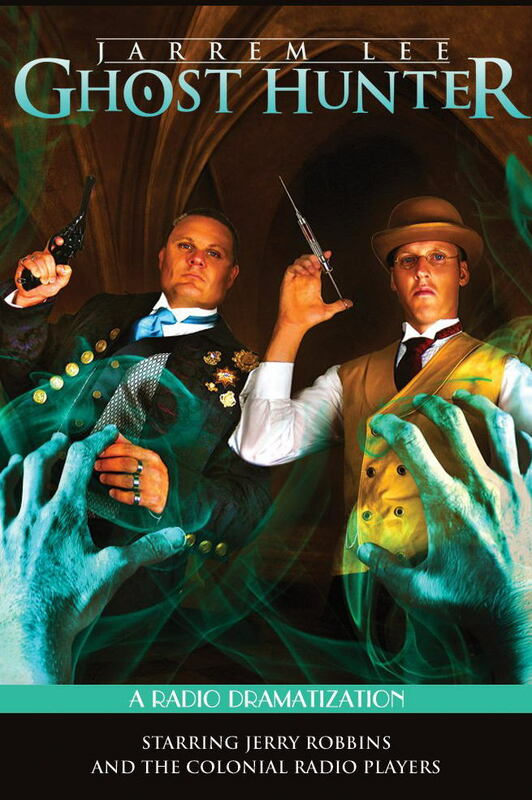 Prosecutor Gabriel John Utterson, a friend of Jekyll’s, is about to be plunged into the worlds of both men – and will discover the terrifying secret that binds them. From the rain-slicked streets of London to the innermost depths of the human psyche, the award winning Colonial Radio Theatre proudly brings Robert Louis Stevenson’s masterpiece to chilling, nightmarish life. Meet Jarrem Lee, Ghost Hunter (or as he prefers to call it, a psychical detective). With the help of college student Arthur Bennett, he embarks on a series of spine tingling and exciting adventures in the world of the dead. Episode 1: THE TOLLINGTON HALL CASE. Sir Frederick Carmichael asks Lee to visit Tollington Hall, where a ghost haunts the attic each night. Episode 2: THE ANCIENT BURIAL BARROW. A demon is trying to escape from a grave discovered during an archaeological dig. Episode 03: LORD WENTWORTH'S STATUE. A collector becomes obsessed with a strange statue that becomes more life-like each day. Episode 04: PROFESSOR TAYLOR'S FINAL EXPERIMENT. A dying Professor has a plan to cheat death. Contains mild adult language and content. Parent discretion is advised. JARREM LEE - GHOST HUNTER Episode 05: The Disappearance of James Jephcott. A boy walks into his bedroom and disappears without a trace. Jarrem Lee is called in to investigate. 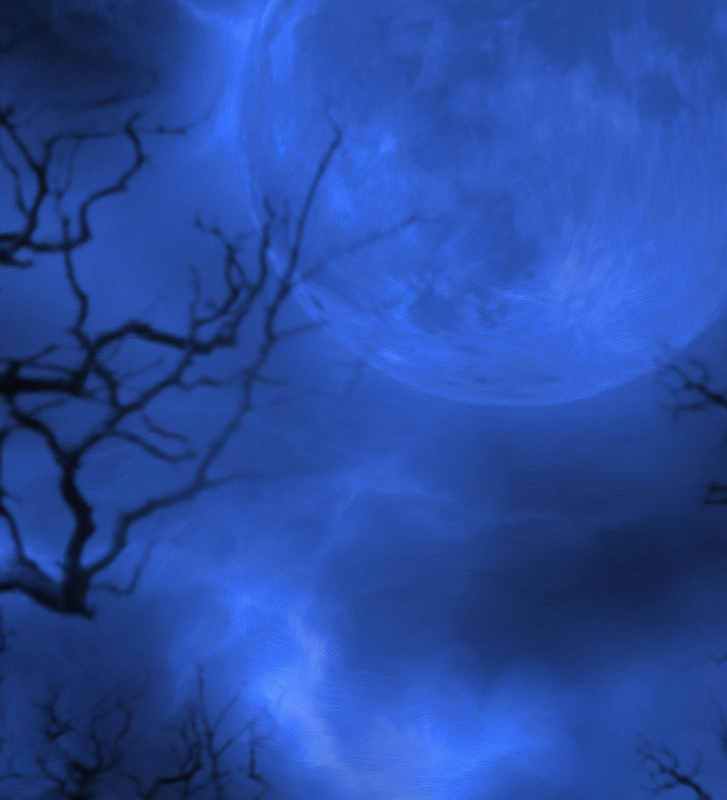 JARREM LEE – GHOST HUNTER Episode 06: The Terror of Crabtree Cottage. Is Crabtree Cottage a porthole to the world of demons? A family calls on Jarrem Lee to help. 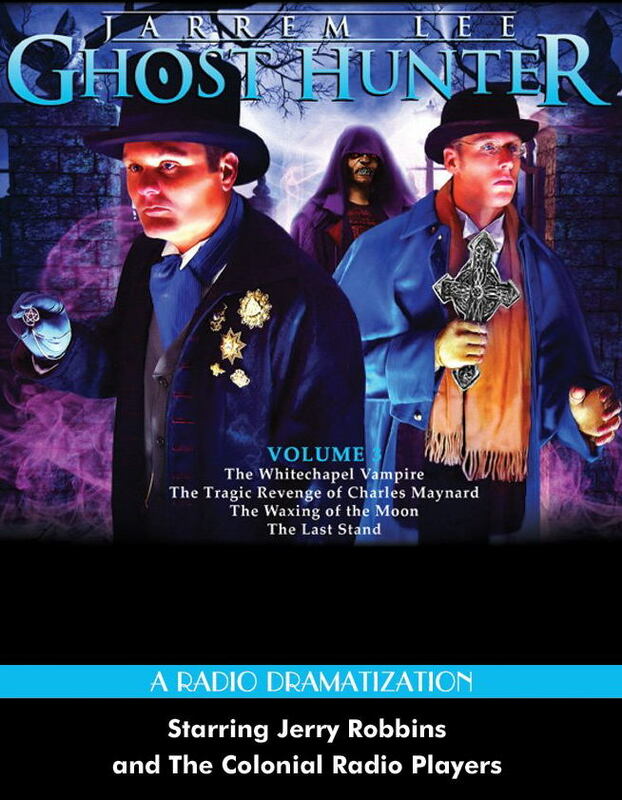 JARREM LEE – GHOST HUNTER Episode 07: The Haunting of Private Wilkinson. A soldier who was killed in a training accident returns to haunt the army base. 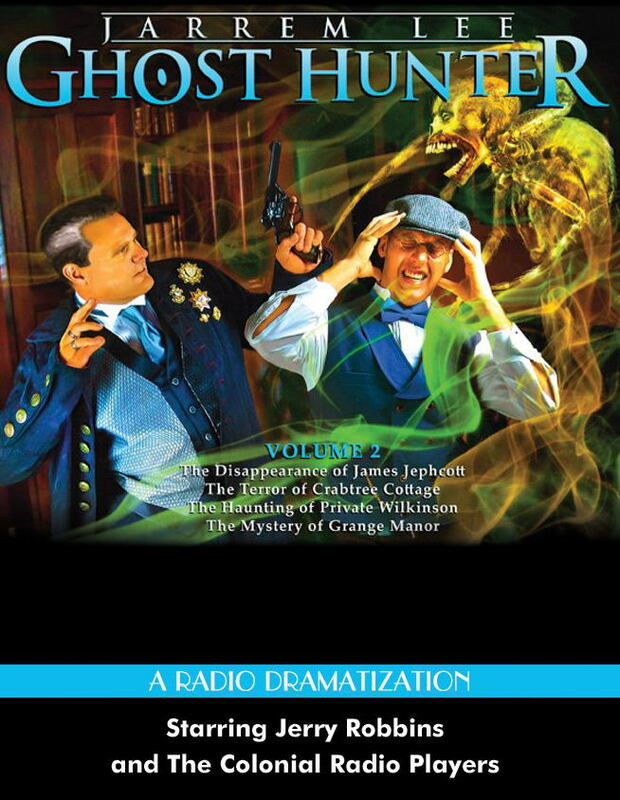 JARREM LEE – GHOST HUNTER Episode 08: The Mystery of Grange Manor. When a young lady inherits Grange Manor, her dead ancestors do not approve. Episode 09: The Whitechapel Vampire. A Vampire terrorizes London. Episode 10: The Tragic Revenge of Charles Maynard. Can the human soul be captured? Episode 11: The Waxing of the Moon. Is the client Lee is attempting to help actually a Vampire? Episode 12: The Last Stand. Jarrem Lee takes on Dr. Ravenscroft to prevent him from bringing a demon back to life. Episode 13: Enter the Nephilim. The Sprits of the Nephilim want Lee to bring them back to Earth. 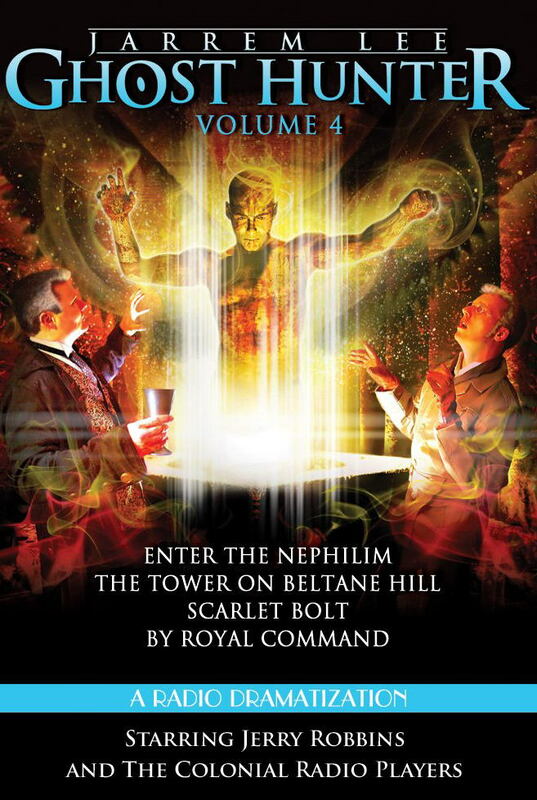 Episode 14: The Tower on Beltane Hill. Mysterious deaths are occurring when a wealthy land owner is trying to clear away trees on his property. Episode 15: Scarlet Bolt. The Derby is the oldest horse race in the world. When the favorite, Scarlet Bolt, is haunted by a mysterious apparition, Jarrem Lee is called in to prevent a terrible tragedy. Episode 16: By Royal Command. Crown Prince Karl is convinced he’s been attacked a werewolf. Jarrem Lee is commissioned to persuade him otherwise, but what if his terrifying dreams are really true? Based on a story by Max Rittenberg. Episode 17 - A Ghost from the Past - When he was younger, Jarrem Lee once succeeded in summoning a daemon and ever since he's kept a dark secret. Some ghosts cannot be left in the past. Episode 18: The Death Knell - Someone is tolling the church bell in the peaceful village of Loscombe and the whole village is afraid. Reverend Upway thinks it's a supernatural force and calls in the ghost-hunter. Episode 19: All Cats Are Grey - The most curious of cases can affect the plainest of people. what is the strange creature which cries outside the house of unassuming Harold Rayner each night? 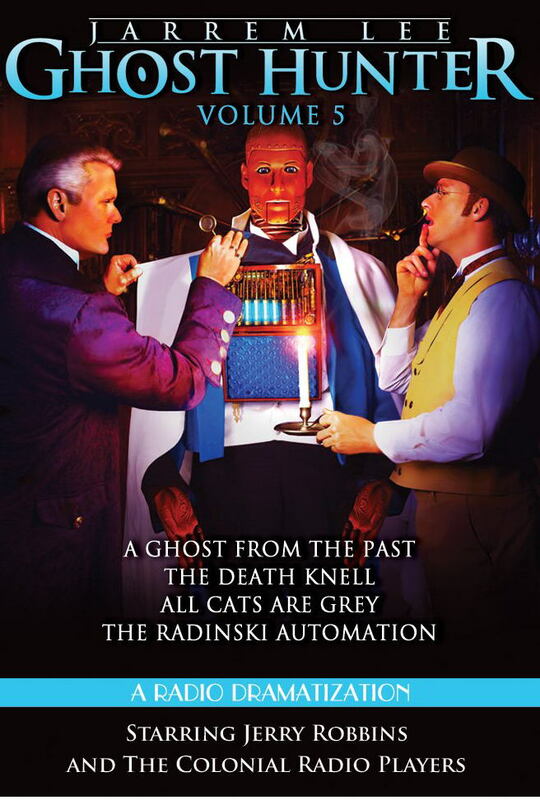 Episode 20: The Radinski Automaton - Professor Radiniski's Automaton is truly a remarkable machine, more skillful, graceful and talented than any man alive. But is there also a dark secret at the heart of the machine? 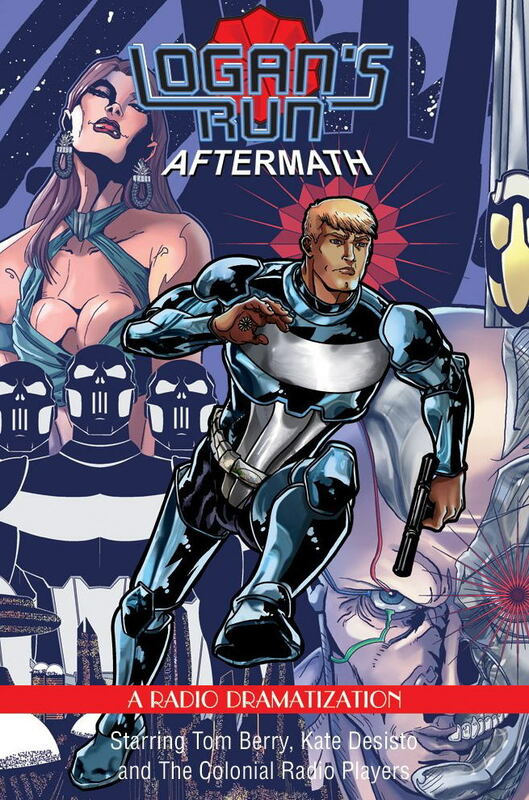 The final volume in CRT's JARREM LEE Series. 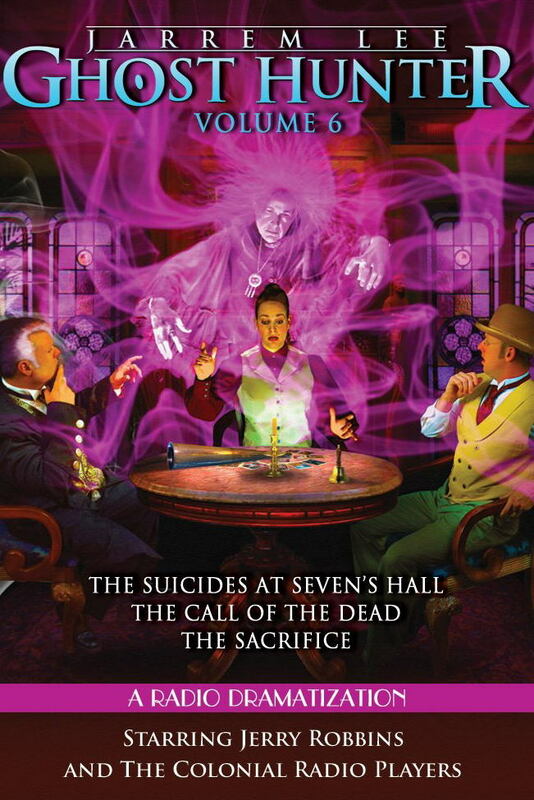 Episode 21 - The Suicides of Sevens Hall - A terrible curse hangs over the Harkindale family causing each successive heir of Sevens Hall to commit suicide. When Jarrem Lee is contacted by the latest victim, he agrees to stay at the Hall and confront the dark specter which haunts the family. Based on the story by E&H Heron. Episode 22 - The Fear of Knowing - Jarrem Lee is used to confronting ghosts, but when the spectra claims to be himself with a warning from the future, it complicates matters. Is this ghost to be believed, or is Lee but a pawn in a more intricate game? Episode 23 - The Call of the Dead - When a wife dies, it's natural that a husband should grieve, but Robert Castlewood isn't in mourning, he's convinced he can still speak to his dead wife. Episode 24 - The Sacrifice - When Sir Henry Redhill is mysteriously assassinated, the Home Secretary calls in Jarrem Lee to investigate. Why? Because the killer is already dead. The Thinker is destroyed and the world is in chaos, and Logan wants nothing to do with it. But the world isn't done with him yet and when the lives of Jessica and his son Jaq are put in jeopardy, Logan must once again don his armor. 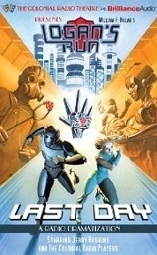 LOGAN'S RUN: AFTERMATH continues Logan's epic journey as he races towards an uncertain destiny. Produced in Association with Bluewater Comics. It’s the 23rd Century — at age 21 your life is over. Logan-6 has been trained to kill. Born and bred from conception to be the best of the best. His time is short, but before his life ends he’s got one final mission — find and destroy Sanctuary, a fabled haven for those who chose to defy the system. When Logan meets and falls in love with Jessica, he begins to question the very system he has sworn to protect. Soon they are both running for their lives. When your last day comes, will you lie down and die — or run! Meet the Otis family; Mister and Missus, and their four children - Washington, the twins called Stars and Stripes, and their daughter Virginia. They've just moved from America and into the English country manor of Canterville Chase. Though rumors persist that the house is haunted, the Otis's have none of it, and set out making the house their own. Then come the mysterious clanking chains and the bloodstains on the floor, and soon even the Otis family must come face to face with that most feared of creatures - The Canterville Ghost. But will the Ghost be able to survive his encounters with the erstwhile Americans? Based on the immortal short story by Oscar Wilde, the award-winning Colonial Radio Theatre presents this most macabrely witty tale about life, death, love, fear, and Pinkerton's Champion Stain Remover. 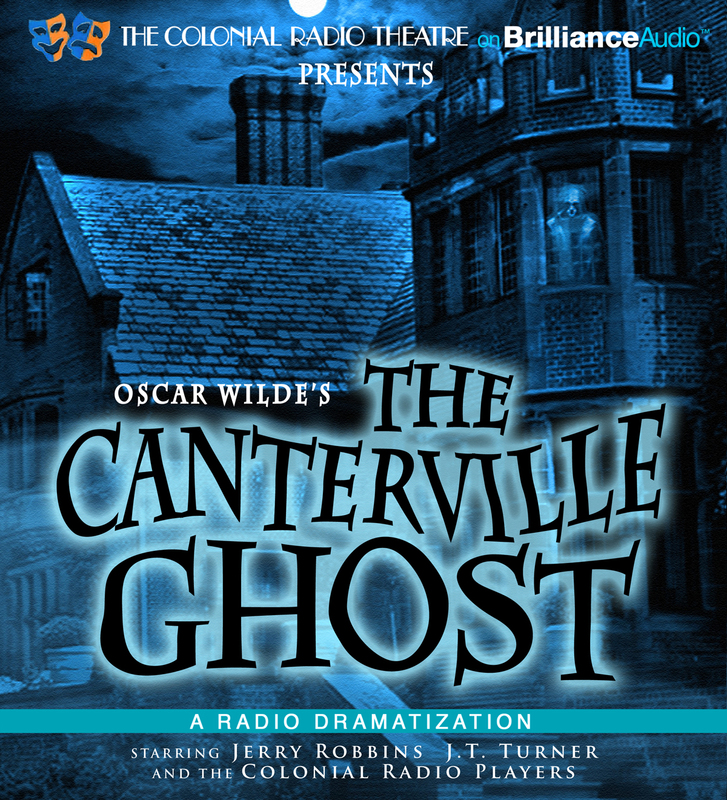 The Canterville Ghost comes to life in a spirited production - filled with lush music and evocative sound effects - which will have you laughing and shrieking in equal measure.